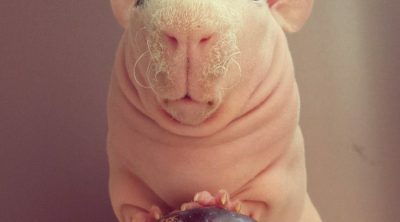 Can Guinea Pigs Eat Bananas And Their Skin? When you have little cavy friends, you may be wondering about what they could eat, if it is necessary to change their diet or if you could give them something that you eat on a regular basis. Often, the question “Can guinea pigs eat bananas?” may surface. 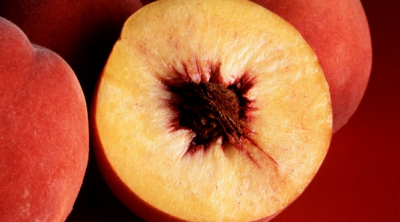 This sweet, creamy, and rich fruit is a favorite snack by many. But can you share this delicious treat with your furry pal as well? The answer is affirmative, but we have to be careful about many aspects of this food. 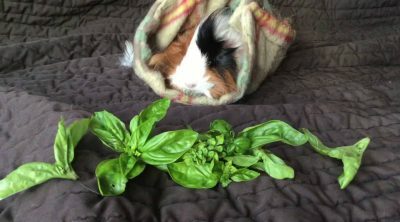 However, you don’t have to worry, we got it all covered in this article and you will know exactly what to do and what other foods should be in your cavy’s diet. Can Guinea Pigs Eat Bananas And How Much? How Can I Introduce Bananas to My Guinea Pig’s Diet? What Parts Of A Banana Can A Guinea Pig Eat? What Other Foods Can I Give To My Guinea Pig? Yes, guinea pigs can eat bananas but not daily. They should be a rare treat because of the high levels of sugar content which can make your little friend sick. Well then, how much bananas can you give them for a healthy snack? A thin slice should be more than enough for guinea pigs. This way, they won’t get sick and the snack will be something new and delicious. Bananas contain potassium which helps to lower blood pressure and maintain normal heart function. Bananas also help to maintain cholesterol levels. Moreover, bananas have a good source of fiber and 1/3 of it is a soluble fiber which helps to prevent heart disease. 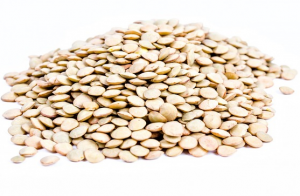 Fiber also helps to regulate digestion. Often, you have to try it first in order to see if the pet enjoys the new taste. Yes, a thin slice of a banana is good for him, but he may not like the taste so much. Give it a slice and see what happens. If your piggie leaves the slice in a corner and dislikes it, then it’s probably not the best snack for him. You should give him a slice of banana once a week, not more often than that, the high levels of sugar content may harm its health. Make sure that your guinea pig doesn’t eat too much bananas. Too much consumption may make him constipated with a tummy ache. It will be better if you try to give the pet a small piece of banana to see how it reacts and then increase the dosage to one thin slice. Best bananas to feed to your pet should be firm, but not too hard and bright in appearance without brown bruises or other injuries. Their tips and stems should be intact. If you want your cavies to get the most antioxidants, give them fully ripened bananas. 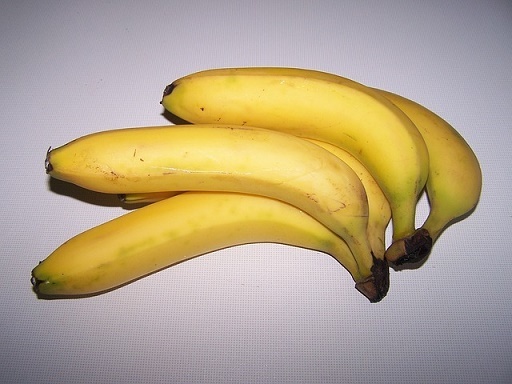 If you have ripe bananas that will not be eaten in couple of days, you can place them in the refrigerator. Their peel usually darkens but the flesh will stay the same and will not be affected. Fresh parts of a banana can be a delightful treat for it, but not in large quantities. The banana skin is also good for it. You can chop it and see its reactions. If it likes it, then you can give it again. The same procedure applies to the banana leaves. See if it enjoys this new snack and then you can introduce it in its diet. The banana chips are not recommended for it because they are covered in honey and they are too sweet. A healthy diet should consist of pellets, grass hay, vegetables and fresh water. 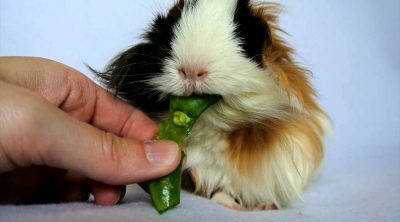 The pellets should be in a guinea pig’s everyday meal because they have vitamin C, a very important vitamin for them. They have the nutrients that will give your little friend energy. The right amount should be between 1/4 and 1/8 cup of pellets. Be careful to choose the right kind of pellets, without any seeds. 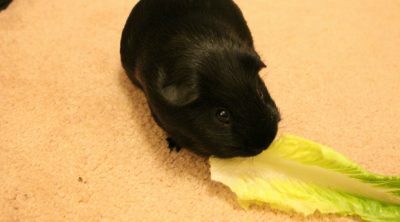 The guinea pig’s diet should also include a cup of fresh vegetables per day. You can give it carrots, spinach, parsley, tomato, romaine lettuce, broccoli, celery, kale, cucumber, parsley, pear, apple or dandelion greens. The grass hay is very important for your little friend because it will protect the digestive system and it will prevent the teeth to grow too long. With plenty of fibers, the grass hay gives your guinea pig the right amount of nutrients in order to be healthy. You can choose from timothy grass, orchard grass or alfalfa grass. Also, remember that the water needs to be fresh and changed daily. Avoid mineral water because it will cause digestive problems to your pet. 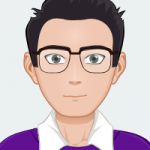 When you choose to change something in your pet’s diet or want to introduce a new ingredient, make sure that it’s good for it and that it won’t cause health problems, such as digestive issues. Try to avoid the food that you are not sure of. You can always call to your vet’s office and ask for diet suggestions. Coming back to the original question, yes guinea pigs can eat bananas in moderation and occasionally only. Also, when you introduce bananas to your guinea pig for the first time, do it slowly and patiently. Give only one small piece at first and then observe your pet. If you see any unusual behavior or digestive issues, stop giving him bananas immediately. However, if your guinea pig doesn’t show any tummy discomfort or diarrhea, you can continue giving him bananas. Just remember that a banana should only be an occasional treat and not the main food in your cavy’s diet. It’s also recommended to consult your vet first before adding any new foods to your guinea pig’s diet. 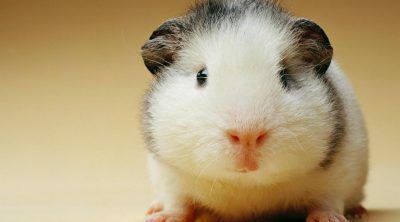 Enjoy the presence of your guinea pig in your life and make sure that it gets your love, affection, and attention. He needs to feel being part of your family. Make sure that you will have the time to play with him. Take care of your pet and he will warm your soul.